Solid brass - Only $15! 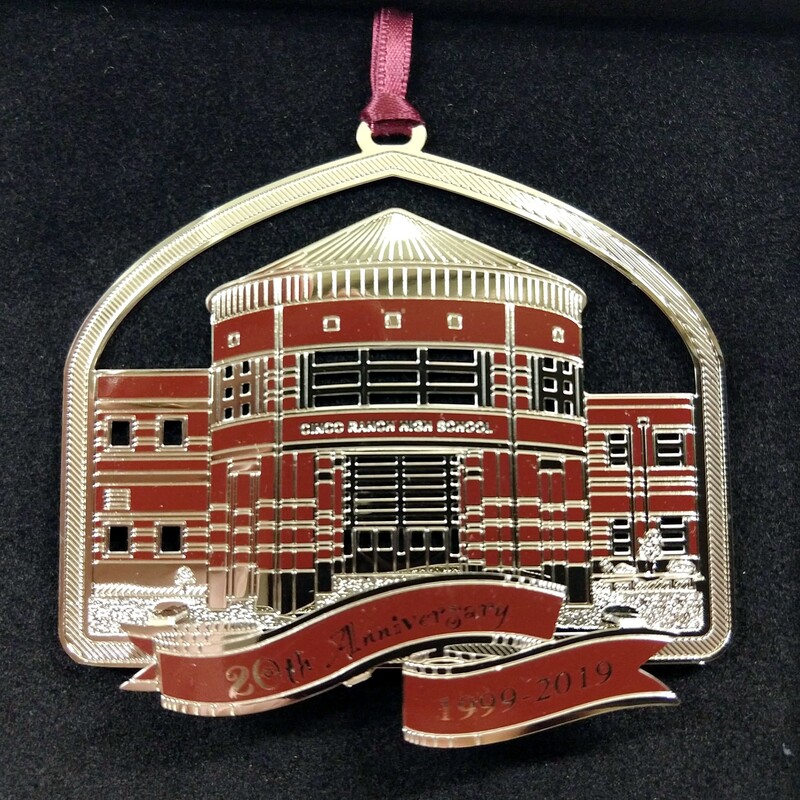 Specially designed in celebration of the Cinco Ranch High School's 20th anniversary, this makes a beautiful holiday gift for students, families, teachers, and alumni alike! Solid brass finished in imitation rhodium; ribbon projects from background; measures 2.87”w x 2.68”h. It will arrive packaged in a black 4"x4" box, black flocking inset, and a silver seal of the school logo on the lid. Ornaments will be available for pick-up in front of the rotunda at the Drive-Thru Sale on Thursday, December 20th, from 4:00 pm-7:00 pm. Quantities are limited! Thank you from the CRHS Band!